Ever noticed on Facebook or Instagram that whenever moms are hanging out together or venting about having a bad day there is often a reference to booze (usually wine)? Why is that? Okay, besides the obvious reason that wine is delicious. 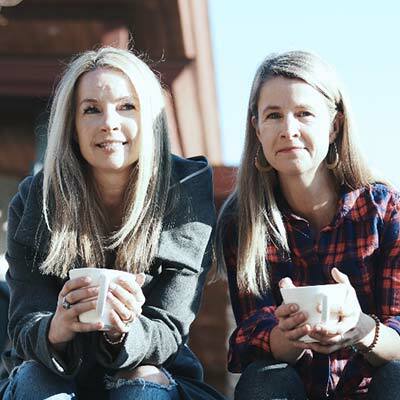 I remember when I first found out that I was pregnant with twins I reached out to another mom who had two-year-old twins and asked if she had any advice for me. She wrote back one sentence. “Buy a case of wine”. I wrote back “ha, ha, seriously though” she responded with 1 word: “seriously”. I laughed it off and then proceeded to take her advice. I would not say that I have a problem with alcohol, but it has certainly been a noticeable part of my life since I was old enough to consume it. It was front and centre throughout my twenties, my friends and I usually socialized over food and beer. I always thought it was kind of a rite of passage to drink your way through your twenties… no? Then I hit my thirties and slowed it down to focus on grad school and working. I thought my drinking days were behind me. Moms are exhausted and trying to be everything to everyone and come 9pm they are so exhausted they look for the quickest way to unwind because they need to get to bed to get up and do it all over again. Then I became a mom. To twins. With a husband in law school while working full time. Did I mention both my girls were premature with colic? Enter the wine. Before I give a horrible impression of myself and get people worked up, I will clarify a few things. I did not drink while I was breast feeding and when I did drink it was usually only 1-2 glasses of wine. I traded in weekend (what I think is fair to categorize as binge drinking) for almost nightly wine drinking. Not getting intoxicated by any means, just ‘taking the edge off’. I also noticed that most ‘mom get togethers’ (without kids) almost always revolved around drinks. Why is this? What has changed that moms are now leading the charge with problem drinking? In my counselling practice, I have seen a definite increase in moms that come to see me concerned about their drinking. I have started to see some common themes. Here are some of my observations Daily drinking patterns do not differ between working moms and stay at home moms. I am seeing problematic drinking in both camps. Moms do not just wake up one day to decide to start having a drink every night, the pattern evolved over time. Their drinking has been normalized by society. 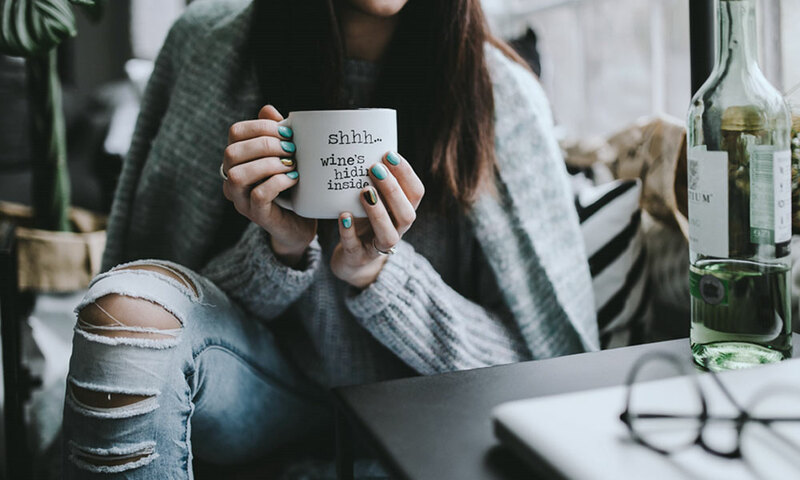 There is tremendous guilt and shame that moms experience with their drinking (click HERE to check out our post on mom guilt) Mom’s often drink alone once the kids are in bed. Here is what I think it happening. Moms are exhausted and trying to be everything to everyone and come 9pm they are so exhausted they look for the quickest way to unwind because they need to get to bed to get up and do it all over again. Drinking a glass of wine to unwind has been not just normalized but glamorized. Before anyone jumps to the conclusion that I am now a teetotaler, I will save the suspense. I am not. I still love wine. Here is what has changed. I have developed some ‘drinking rules’ for myself. These are the same rules I suggest to my clients that have concerns about their drinking (but are not yet abusing alcohol or alcohol dependent) and the same information that I give my students in the course I teach on addictions. Take a few ‘non-drinking’ days a week. That means that a few days a week you do not drink alcohol. For woman, the recommended guideline (in Canada) for healthy drinking is no more than 2 drinks a day and no more than 10 in a week. Try to stick to this if having drinks on the weekend. That being said there may be occasions (girls’ trips, parties, etc.) where this limit is slightly increased. 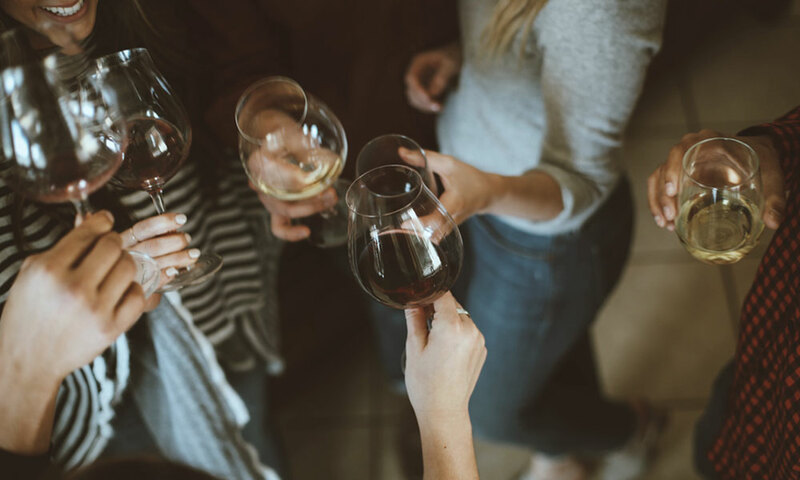 Try to avoid using alcohol as a way to unwind to fall asleep (this actually starts to backfire as you hit menopause and can actually make your sleep worse). If you are spending an increasing amount of time thinking about how much you drink, when you can have a drink, or what you said or did while you were drinking, this would be a good time to talk to either a trusted friend/partner or a professional. So far, so great you two! I am looking forward to future blogs!